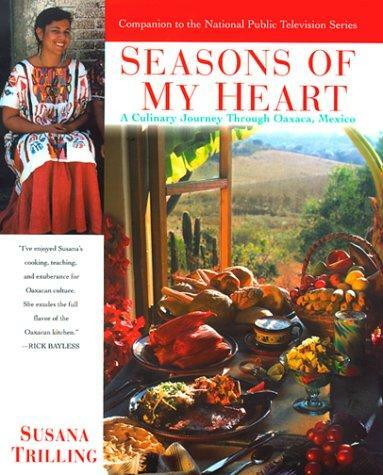 One of my favorite Mexican cookbooks is titled Seasons of My Heart, by Susana Trilling. Susana was a chef and owner of a restaurant in New York City and also owned a very successful catering business. She left all of this to pursue her ethnic roots in Mexico around Oaxaca, sharing the food, culture and traditions of the cooking of the region. 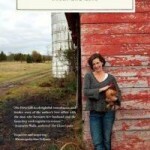 She wrote this cookbook to showcase the native foods that are not well known outside the region. Seasons of My Hearthas become hard to find but is well worth pursuing once you do find it. Today I’m going to share a recipe called Albóndigas, or meatball soup. Many people are familiar with Albóndigas as a clear broth with a couple of meatballs in it as an appetizer or first course. This particular soup is more rural in nature, with the broth enriched by the onions and tomato puree. 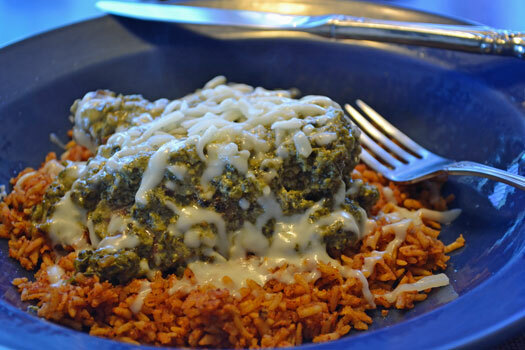 Many people are are amazed to find that this is “Mexican food”, as it doesn’t have the characteristic emphasis on chiles and heat that most Americans are accustomed to seeing in Mexican food. This is one of those perfect hearty winter soups that has an abundance of rich and savory flavors. Make extra, as this soup keeps exceptionally well and will prove to be very popular. 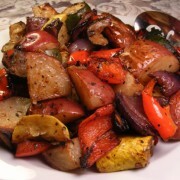 In a medium bowl, mix the ground beef with the pepper, salt, cumin and chili powder. Shape the mixture into tiny meatballs about the size of black cherries. In a heavy 4 quart stockpot, heat the oil over medium to high heat and brown the meat balls on all sides, for about 2 minutes, in small batches without crowding them. 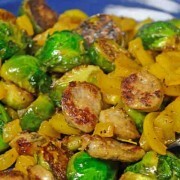 If there is extra oil in the stock pot, remove it, leaving about 2 tablespoons. Fry the onions and leek until they’re soft over medium heat, 4 to 6 minutes. 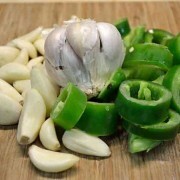 Add the garlic and season with the pepper and bay leaves. And the beef broth, tomato puree, and meatballs. 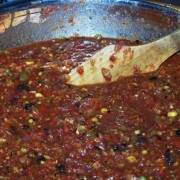 Lower the heat to a slow simmer, cover, and cook for 1 1/2 hours. Add the salt, parsley and chives and cook 5 to 10 minutes longer. During the winter months, or cold weather, this is the type of soup that is very easy to make when you’re cooking out of your freezer with ingredients that you have prepared beforehand. Making beef broth or beef stock is somewhat time consuming, but does not require constant attention and can be made in large batches, saving time later on. Likewise, making tomato puree from extra tomatoes when your garden is in the height of production gives you a rich, fresh tomato taste in the dead of winter. 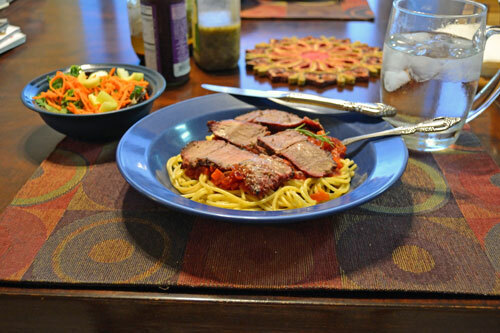 Please give this soup a try, and let us know what you think!